Launch EMC (Exchange Management Console). Switch to the “Resource Policy” tab. Click “Add...” under “Specify delegates of this mailbox”. 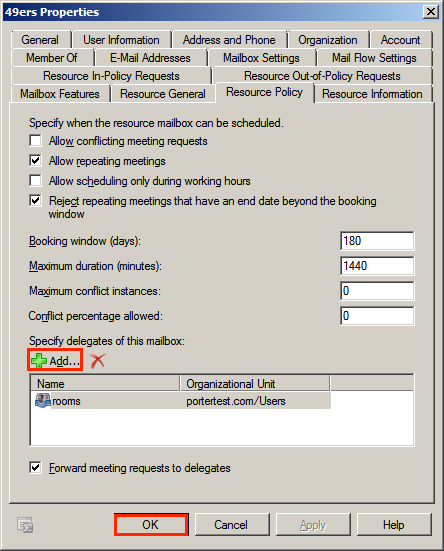 In the “Select Recipient” dialog, select the dedicated email and then click “OK”. Switch to the “Resource General” tab. 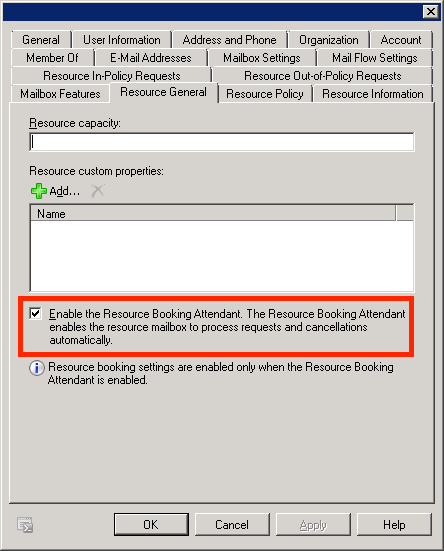 Check "Enable the Resource Booking Attendant". Click “OK” to save the change. Launch “Server Manager” on Windows Server. 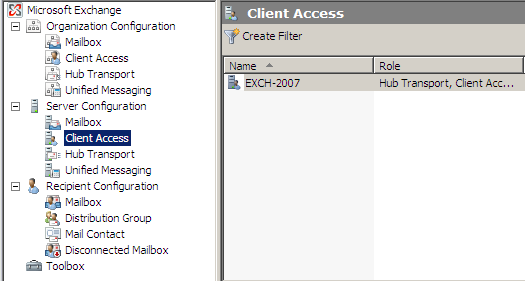 Open the Exchange Management Console and navigate to Server Configuration/Client Access. 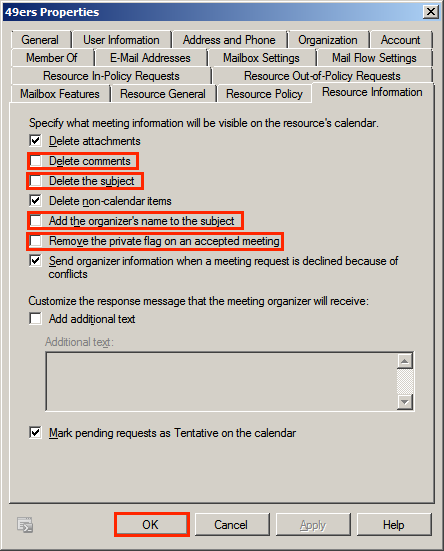 In the Actions pane to the right of the Exchange Management Console click on Enable Outlook Anywhere. 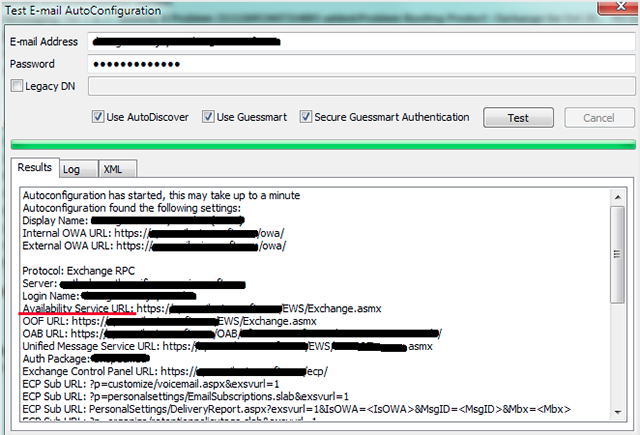 Enter the external host name in the field shown here. 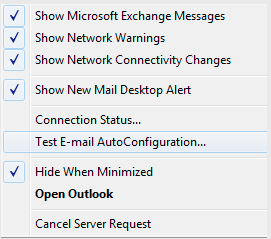 Select "Test E-mail Auto configuration"
Select the Use AutoDiscover box (you can uncheck the other boxes).